Current WSIB Clearance Certificates available upon request and as needed. Environmental Impairment & Pollution $5,000,000 Comprehensive General Liability Occurrence Form Liability- Asbestos, Mould, PCBs, Lead. Insurance certificates available upon request. Alliance Environmental is dedicated to the implementation and surveillance of their workplace health and safety. Alliance Environmental has developed our own Health and Safety Policy and Safe Work Procedures. Our company ensures that all employees upon employment are trained and tested in all areas in order to make the worker a competent and safe worker. Certificates of training are available upon request. Copy of our Health and Safety Policy and Safe Work Procedures are also available upon request. We currently are able to train our own employees for the Type 3 253W course. Alliance Environmental and Abatement Contractors Inc. are sensitive to our clients’ concerns regarding removal and/or cleanup of hazardous materials. Confidentiality agreements can be executed where required. Alliance Environmental maintains working personnel able to work in sensitive work areas that require security clearances and/or other criminal background verifications. Rest assured our personnel are of the utmost quality and integrity. 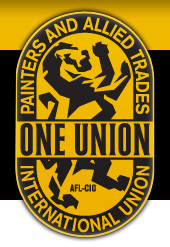 Copyright © 2019 Alliance Environmental & Abatement Contractors Inc.
Alliance Environmental is a proud member of Local 1891, The International Union of Painters and Allied Trades since 2012.